Whilst the future of electric vehicles makes for almost noiseless engines, the prospect has created a problem for blind, visually impaired and other vulnerable road users. 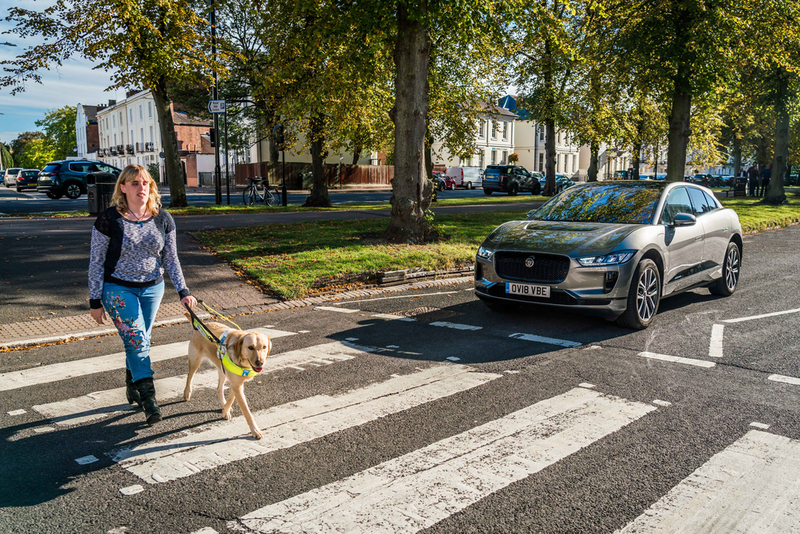 Now Jaguar have developed an innovative technology which has been commended by the Guide Dogs for the Blind charity. The Audible Vehicle Alert System (AVAS) has been tested on Jaguar’s I-PACE car and will be audible at speeds of up to 20km/h. The noise created by AVAS meets global legislation and exceeds the minimum 56dB(A) recommendations which have been introduced by the EU, the strictest legislation in the world. “The absence of traditional engine noise from electric vehicles creates a problem for vulnerable pedestrians, such as the blind or visually impaired,” said Jaguar’s Noise, Vibration and Harshness specialist, Iain Suffield. The technology has been four years in development and the discreet noise soundtrack cannot be heard from within the vehicle, but is audible to pedestrians. Jaguar tested a range of noises, in a variety of environments to perfect the AVAS, but had to ditch a planned sci-fi spacecraft noise as pedestrians reacted by looking up to the sky! The new technology will be in place for all new EVs in time for the legislation coming to the UK in July 2019.